What does any of this have to do with Hawai`i or Hawaiian entertainment? Throughout history any number of Hawaiian entertainment legends have embarked on a career (or second career) singing the American popular songbook. Some – like Jimmy Borges, Jimmy Kaina, and Paul Shimomoto – met with tremendous success. On the women’s side of the bracket, Teresa Bright, Amy Hanaiali`i Gilliom, and Ginai Hill have tackled the oeuvre with aplomb. (And who can forget Owana Salazar’s inimitable version of Cole Porter’s “Night and Day?”) A few others – like famed “Hawaiian Room” hula dancer and choreographer Lei Becker-Furtado – struck out for the mainland to sing popular songs with an orchestra led by Claude Thornhill but found the life too difficult and fame fleeting – ultimately returning home to Hawai`i to continue to specialize in its unique culture. The lesson is like a Sinatra tune – “riding high in April, shot down in May.” Singers of the American popular songbook are a dime a dozen on the U.S. mainland. But being a really good singer of such songs on an island in the middle of the Pacific will earn you heaps of praise and a decades-long career. Borges has been riding that tide since the 60s. The recent octogenarian just took his final curtain call in the sixth decade of a career which has included multiple long-running Waikiki engagements, recurring roles on such iconic television shows as Hawaii Five-O, Magnum P.I., and Jake and the Fat Man, but – sadly – only a handful of recordings (averaging one release every 20 years – or three over his lifetime). Borges is probably the greatest specialist of the Great American Songbook that Hawai`i has ever offered – possessing extraordinary vocal chops, impeccable taste in song choices that suit his style and persona, and a little bit of Sinatra-style swagger. To celebrate his 80th birthday, Borges released his latest CD, the eponymously titled Jimmy Borges, and then celebrated with a grand concert at Hawai`i Theater. And almost as quickly as the curtain closed, Borges announced to the world that the grand performance would be his last and made very public that his long battle with cancer would soon come to an end. When the CD was due to drop last September, Borges had promised Ho`olohe Hou Radio an interview. That interview will likely never come to fruition. But those who are following his very public story are learning a valuable lesson in how to live life to its fullest. Just as Kui Lee knew he was passing when he recorded his one and only album and the song choices reflected his imminent departure (songs like “If I Had To Do It All Over Again”), so, too, is Borges’ final studio effort tinged with reflection and self-awareness. You cannot hear Jimmy deliver such wisdom as “Here’s That Rainy Day” or “Here’s To Life” and not be keenly conscious that he was leaving behind life lessons for friends, family, and the fans he might never meet. Ho`olohe Hou Radio continues to feature the Jimmy Borges release in heavy rotation in honor of both Sinatra’s 100th birthday and his own shocking announcement. But also, most importantly, because it is the finest example of vocal jazz and the Great American Songbook ever to come out of Hawai`i. 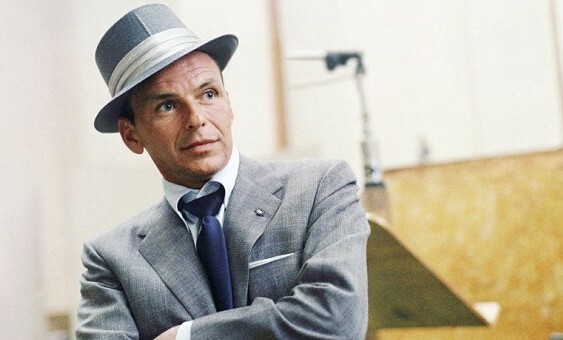 But when we discuss Sinatra, there is the singer, of course, who has influenced singers around the world in every genre with his unique approach to phrasing – elevating the art of singing to an exceedingly effective storytelling medium (although some critics have countered that Bing Crosby did it first and better and that Ol’ Blue Eyes is merely a cheap imitation). And then there is the song. Just as the power of Hawaiian songcraft is not so much in melody and harmony as in the poetry – the storytelling – this is also true of the American popular songbook. But American popular song in its early days never relied upon the singer/songwriter. In fact, if we look at American popular song dating to before 1960, there are very few writers of pop standards who were also performers. “Singing” and “songwriting” were once considered two very different areas of specialization and two very different career paths. It took a very special combination of singer and songwriter to make magic. Sinatra would have been nothing without Sammy Cahn and Jimmy Van Heusen (think “Call Me Irresponsible” and “Polka Dots and Moonbeams”), just as Don Ho would not have soared nearly as high into the entertainment stratosphere without the words given to him by Kui Lee (“I’ll Remember You,” “Ain’t No Big Thing,” and on and on and on). Sinatra chose good songs, and those songs are still good when others attempt them. And Hawaiian artists have attempted them. In honor of Sinatra’s 100th, Ho`olohe Hou Radio scoured its archives and identified at least four quintessential Sinatra songs covered by local Hawai`i artists. Stay tuned to Ho`olohe Hou Radio as the tribute to Sinatra remains in rotation.